StandUnited | Take a Stand. Make an Impact | Petition | Demand the Office of Congressional Ethics to Hold Representative Adam Schiff Accountable! Fellow Americans : Demand the Office of Congressional Ethics to Hold Representative Adam Schiff Accountable! Representative Adam Schiff has been misleading Americans and it's time to hold him accountable! 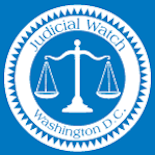 Judicial Watch filed an official complaint with the Office of Congressional Ethics about Representative Schiff's unethical tampering and contact with two congressional witnesses: Glenn Simpson of Fusion GPS and Michael Cohen, President Trump's former personal lawyer. Schiff will continue to use smear tactics against President Trump unless we bring attention to his own misconduct. We need to hold our politicians accountable and ask for your help to do it. Representative Adam Schiff (D-CA) seems to have improperly disclosed classified information in violation of the House Rules, and standards of conduct. Where is the house ethics probe into Representative Schiff? He continues to agitate the public with baseless accusations seeking to destroy the Trump presidency. He's done this before, and his behavior shows that Schiff and his staff have a serious ethical problem. Schiff CANNOT be trusted to lead the highly sensitive House Intelligence Committee. 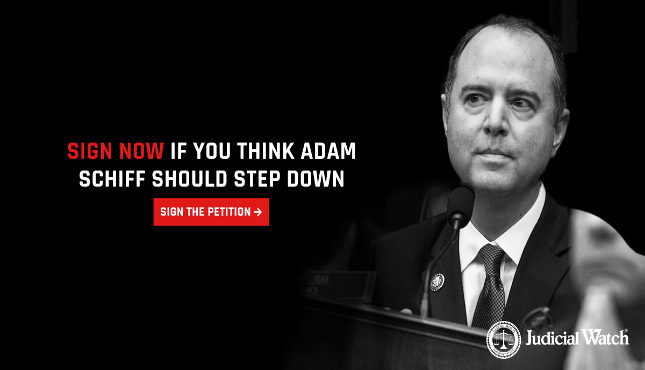 Sign the petition NOW if you think Adam Schiff needs to immediately step down as Chairman of the House Intelligence Committee!